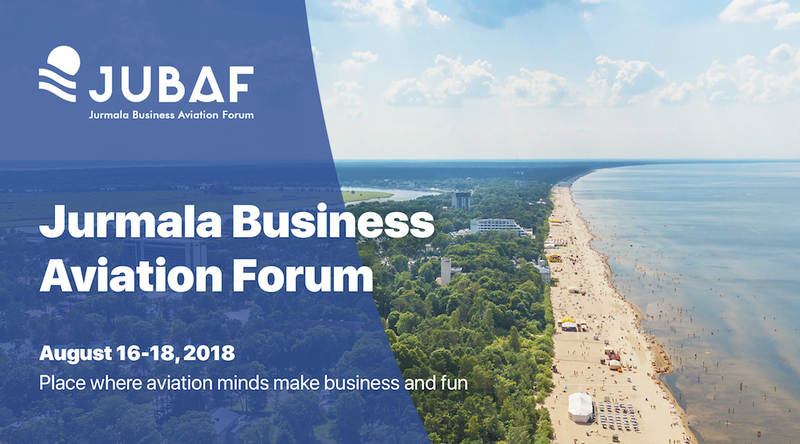 Jurmala Business Aviation Forum (JUBAF) has released the agenda of the event that will take place in Jurmala, Latvia, between the 16th and 18th of August 2018. Industry experts and executives of business aviation companies, brokers, FBOs and MRO providers from Europe, the CIS and Russia will give their vision and insights in market trends, and discuss successful business approaches and best practices. Managing director of DC Aviation, Stanley Bugeja, will talk about the specifics of aircraft operation in Malta, one of the smallest European countries. In his speech, he will explain why airlines need more than an operator’s certificate (AOC), and will reveal successful strategy to meet owners’ and shareholders’ expectations. David Colindres, president of San Marino Aircraft Registry, will share his expert view on how to choose a country of registry and the advantages of different countries for owners and operators, and uncover the phenomenon of San Marino Aircraft Registry, while Charlotte Pedersen, CEO of Luxaviation Helicopters, will reveal the fascinating world of helicopters, tell about their current areas of use, and look into the future of helicopter–jet connection. Trip planning to top demanded events (panel discussion). The rich business day will be followed by social activities and networking. Flight Consulting Group, the JUBAF host, prepares cozy evening reception in one of Jurmala best restaurants and outdoor entertainments.